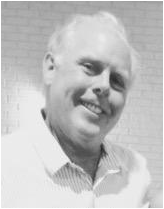 Obituary for Paul S. Sheridan | Perry-Komdat Funeral Chapel - Perry-Komdat Funeral Chapel, Inc.
Poestenkill- Paul S. Sheridan, 62, of Deer Creek Road died on Friday, October 21, 2016 at his residence with his family at his side after a long illness. Born in Amsterdam, NY Paul was the son of the late Peter T. and Ann Morgan Sheridan and the beloved husband of Karen Toffenetti Sheridan. Paul grew up in Castleton and was a graduate of the Maple Hill High School. He had served in the Army during the Vietnam Era and was discharged in 1974. Paul continued his education and received a Bachelors degree in Science from SUNY Albany. His working career started at the NYS museum in Albany and then to SUNY Albany where for 30 years Paul was a Police Officer. He had retired in 2009. Paul had resided in Poestenkill for the past 23 years and enjoyed fishing, Nature, History, Politics and time with his family. Survivors in addition to his wife include his children Leeann Sheridan of CA., Brien Sheridan of Albany and Brigid (Sam) Sheridan Gaza of Pittsburgh, PA. and his brother David Ferrari of Castleton. Funeral Thursday 9:30 a.m. at St. Jude the Apostle Church 43 Brookside Ave. Wynantskill. Relatives and friends are invited and may also call at the Perry-Komdat Funeral Chapel 2691 NY 43 at Glass Lake, Averill Park on Wednesday 4-7 p.m.